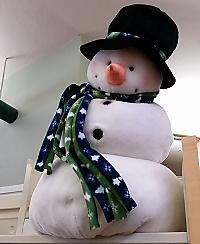 Snow has arrived, and so have the Snowpeople! 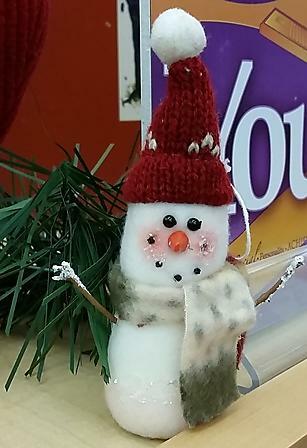 As in every December, the snow and the snowpeople have descended on Whitefish Community Library! Big ones, little ones, funny ones, and more. 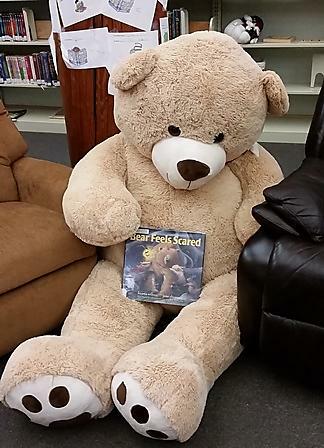 And two giant teddy bears are ready to cuddle young readers. Come on in and warm up by the fireplace!